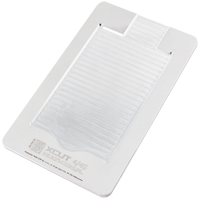 XCUT frame for Polarizer/Glue Remove for iPhone 4G/4S made of high quality anodized aircraft aluminum allows for quick and safe removal of scratched film polarizer. The frame is used for all kinds of repairs of LCD displays common called regeneration. Unlike Chinese products, Xcut frame made from high quality materials and machines gving proper depth which protects the display from damage and due this process of polarizer removing is only a few seconds. 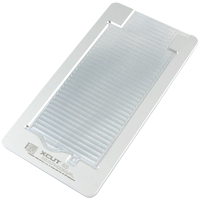 XCUT frame for Polarizer/Glue Remove for iPhone 5G/5S made of high quality anodized aircraft aluminum allows for quick and safe removal of scratched film polarizer. The frame is used for all kinds of repairs of LCD displays common called regeneration. Unlike Chinese products, Xcut frame made from high quality materials and machines gving proper depth which protects the display from damage and due this process of polarizer removing is only a few seconds. 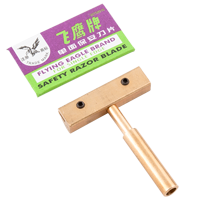 XCUT frame for Polarizer/Glue Remove for iPhone 6 made of high quality anodized aircraft aluminum allows for quick and safe removal of scratched film polarizer. The frame is used for all kinds of repairs of LCD displays common called regeneration. Unlike Chinese products, Xcut frame made from high quality materials and machines gving proper depth which protects the display from damage and due this process of polarizer removing is only a few seconds. 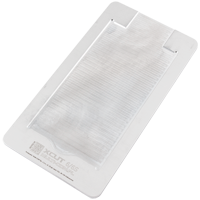 XCUT frame for Polarizer/Glue Remove for iPhone 6+ made of high quality anodized aircraft aluminum allows for quick and safe removal of scratched film polarizer. The frame is used for all kinds of repairs of LCD displays common called regeneration. Unlike Chinese products, Xcut frame made from high quality materials and machines gving proper depth which protects the display from damage and due this process of polarizer removing is only a few seconds. 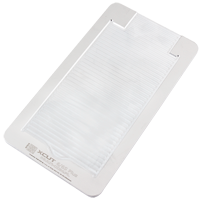 XCUT frame for Polarizer/Glue Remove for iPhone 6S made of high quality anodized aircraft aluminum allows for quick and safe removal of scratched film polarizer. The frame is used for all kinds of repairs of LCD displays common called regeneration. 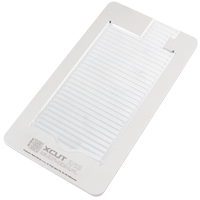 Unlike Chinese products, Xcut frame made from high quality materials and machines gving proper depth which protects the display from damage and due this process of polarizer removing is only a few seconds.